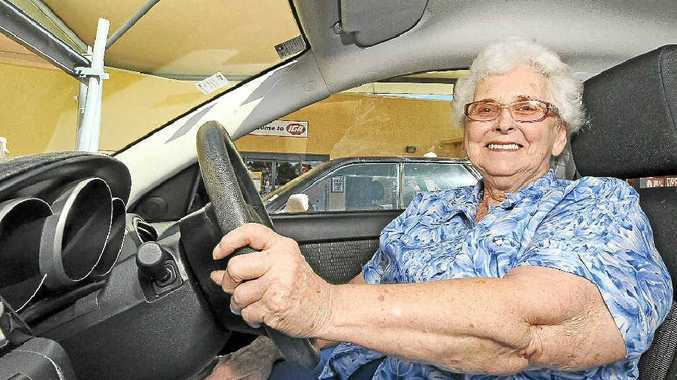 WITH her zippy little sedan fresh out of a service yesterday, Fay Edwards is still hitting the road, maintaining her driving independence well at 77 years old. "I like driving but now since I've had this hip and knee replacement surgery I really only drive around town locally which suits me fine," Mrs Edwards said. The NSW RMS imposes restrictions on older drivers once they reach the age of 75 to ensure that they are medically fit and able to drive competently and safely. Mrs Edwards is growing accustomed to the process. "Each year the RMS sends me a paper and I take it to my doctor. He tests whether or not I should or shouldn't be driving and he gives me the okay," she said. At 85, for those using cars and motorcycles, they can opt to have a modified licence or to undertake an assessment every two years from the age of 85 to hold an unrestricted licence. Heavy vehicle drivers need to undertake an annual driving assessment from 80 years of age. NRMA road safety expert Dimitra Vlahomitros said older drivers know their limits. "Older drivers are good self-regulators," she said. "They are really good at limiting their driving ability and sticking with what they feel comfortable with." "I know what my limits are as a driver. I took myself off the road several years ago as I was nervous driving and didn't want to until I was more comfortable. So I had a break for about six months and had people to drive me around then," she said. The NRMA runs free education programs in areas where they have an elderly peer available to host a session for elderly community groups. "The program advises older drivers with information about maintaining their licence," said Ms Vlahomitros. Mrs Edwards, a licence holder for 51 years, plans to be driving for a few more years yet. "Until you don't drive, or can't drive, you don't really realise how much you use your car for going around," she said. "It keeps you mobile and gets you out of the house, even if it's only for a couple of kilometres." "Having the car is really useful. There's only the bus service or you rely on friends so I think it's imperative where older people can drive, that they maintain their licence and drive."